An accessible and accurate translation of the Quran that offers a rigorous analysis of its theological, metaphysical, historical, and geographical teachings and backgrounds, and includes extensive study notes, special introductions by experts in the field, and is edited by a top modern Islamic scholar, respected in both the West and the Islamic world. Drawn from a wide range of traditional Islamic commentaries, including Sunni and Shia sources, and from legal, theological, and mystical texts, The Study Quran conveys the enduring spiritual power of the Quran and offers a thorough scholarly understanding of this holy text. Beautifully packaged with a rich, attractive two-color layout, this magnificent volume includes essays by 15 contributors, maps, useful notes and annotations in an easy-to-read two-column format, a timeline of historical events, and helpful indices. With The Study Quran, both scholars and lay readers can explore the deeper spiritual meaning of the Quran, examine the grammar of difficult sections, and explore legal and ritual teachings, ethics, theology, sacred history, and the importance of various passages in Muslim life. 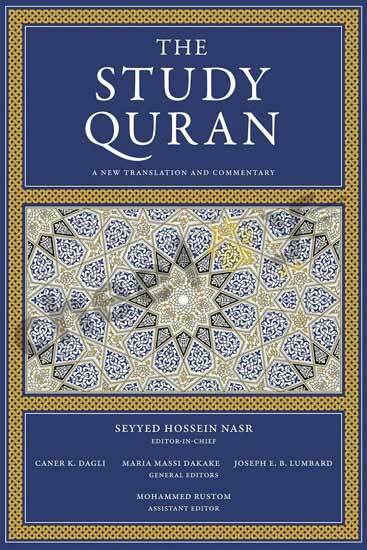 With an introduction by its general editor, Seyyed Hossein Nasr, here is a nearly 2,000-page, continuous discussion of the entire Quran that provides a comprehensive picture of how this sacred work has been read by Muslims for over 1,400 years.